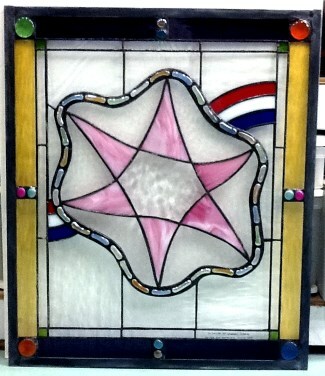 About fifteen years ago, I started doing stained glass panels. I am essentially self-taught. Reviewing tons of literature and visiting many studios helped prevent reinventing a great deal of the knowledge an artist must learn if they are serious about creating "good stuff." The craft is forgiving, but truthful. I navigated most of the same learning curves I suspect most of you have navigated. You don't make an omelet without breaking a few eggs. 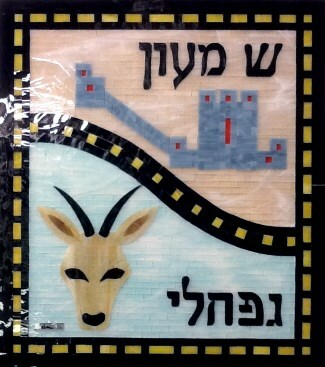 Most of my early work was handicapped by my not having a relatively rapid way of creating the pattern, or cartoon. There were many layouts I could think about, but transferring then to a usable pattern was difficult, especially when the need to change a dimension cropped up. Bummer! That led to a search for a computer program which in turned led to Dragonfly Software. Glass Eye 2000 changed the entire process for me. I don't and never did like making hanging panels. I prefer custom fabricating them to fit perfectly into a given space. That becomes a piece of cake with Glass Eye 2000. 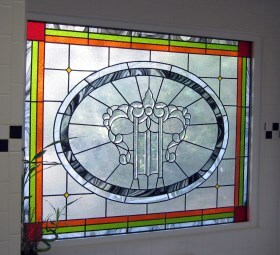 Need three essentially similar panels over a transom with each window slightly different in size? Or several panel inserts for doors that are slightly different in size? No problem. A simple resizing and reprinting gives you perfect cartoons — each slightly dimensionally different but guaranteed to fit each space perfectly. That alone saved me tons of time (assuming one can actually save time instead of just using it differently). Most of my early work was essentially traditional, such as the three examples below. After a certain point, I was beginning to scream for something different. I'd already done many of the windows in my house and every cabinet door in my kitchen. You do not need to be locked into the printed outlines of the pattern. I made a cartoon and modified it with pieces I wanted incorporated but was not able to draw accurately using the program. You add the pieces to the pattern after the pattern is printed. 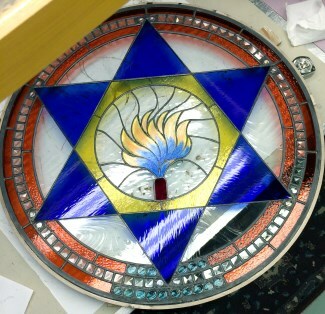 After taping down the Glass Eye 2000 generated pattern, I began drawing modifications directly onto it. The upper left and lower right bevels (left over from another project) were placed in the position I wanted, and then outlined in red. I did each separately because they were slightly different in size. The green flattened marbles were then arranged around several other bevels. 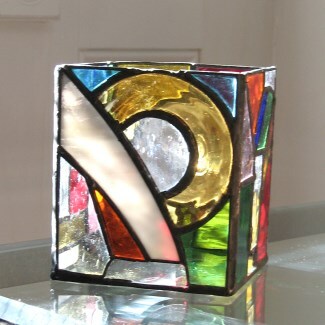 When the arrangement looked right, I drew the lower border of the pieces to be directly above the marbles. You can't easily do this with the program. The upper left "roundel like" round is actually the base of a broken wine glass. (I use a lot of them.) I placed it on the cartoon and drew a red circle around it. That established another border not made on the computer. The elongated marbles were placed and another red border marked on the cartoon. I then fabricated the horizontal colored strips. I used leftover waterglass from other projects. The next step was also different from what I had done in the past. Since all the pieces were to be translucent, I placed the glass stock to be used directly onto the cartoon, and traced directly onto the glass. I did not make cutout patterns for each piece. I just had to pay attention to which lines were from the cartoon, and which were from the "over tracing." It all worked out just fine. Everything else in the process was standard. Be sure to place the panel on several layers of bath towel when soldering the back. You don't want it to be resting on the stub of a broken wine glass when you solder because you could break the panel. The big lesson for me in this project was learning how to integrate a Glass Eye 2000 cartoon with "free hand" stuff. Combining the two methods works well when neither is very efficient or effective by itself. The same technique was used to make "The Guardian" (see the two figures below). 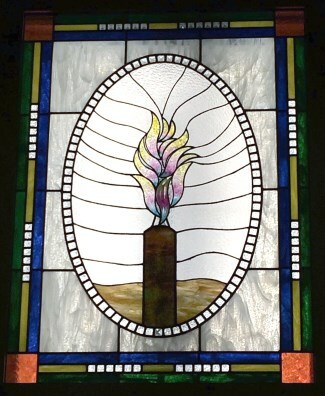 It is a vessel, not a panel. The trick here was soldering the five panels together squared up correctly (four sides and a bottom). The crown was made later. 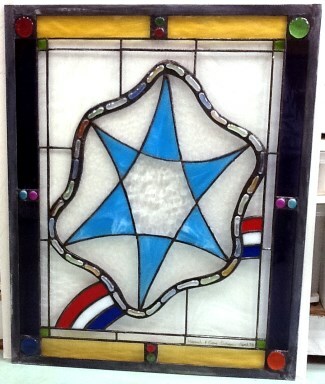 This next one is a transom. 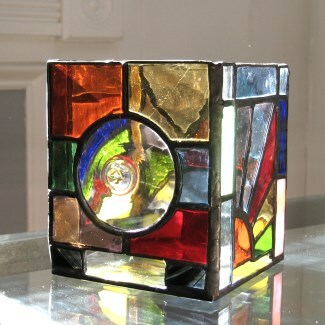 I used several pressed glass pieces in its fabrication. 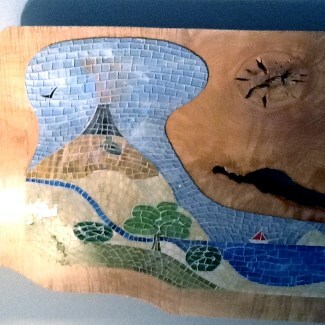 As a learning project, I completed a mosaic arrangement on a maple board. I regard it as half success, half failure. The right side (see the first image below) was placed over a Glass Eye 2000 cartoon and resulted in what I had in mind. The left side (see the next image) was plucked straight out of the air — I winged it. It did not come out as I had hoped for. I should have played around with a Glass Eye 2000 cartoon first. I believe the results would have been better. These next two are displayed at a children's camp in Cleveland, Georgia. 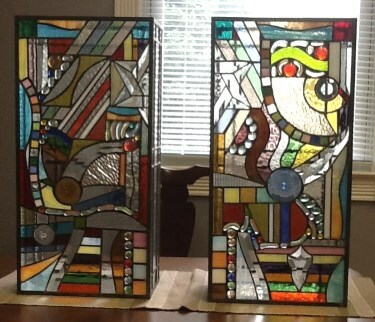 The two panels are special to me because my granddaughter helped design and make them. She, her dad and her siblings were campers there. 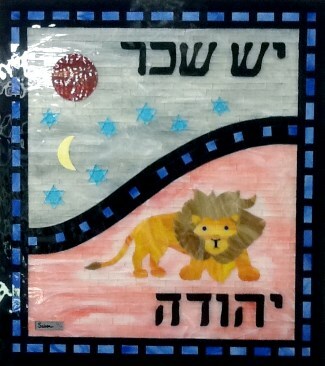 The panels are signed by her, and if one day her children attend that camp they will see what their mom created years before. How great will that be! Glass Eye 2000 has helped make me a better artisan. But more than that, the staff at Dragonfly Software (and Michael Wilk in particular) has always gone out of its way to be helpful, kind, and generous. They've always corrected my downloading and or programming errors, never making me feel foolish or ignorant. Michael is a gentleman and has my continued deepest respect. 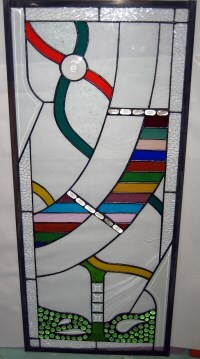 During a career in the United States Air Force, followed by dental school and twenty years as a practicing dentist, Gary became increasingly interested in stained glass art. 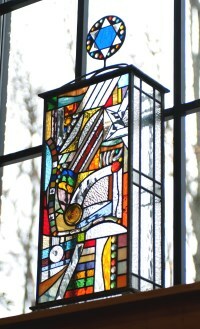 Over the past fifteen years, he has completed over a hundred panels, ranging from traditional to modern contemporary. 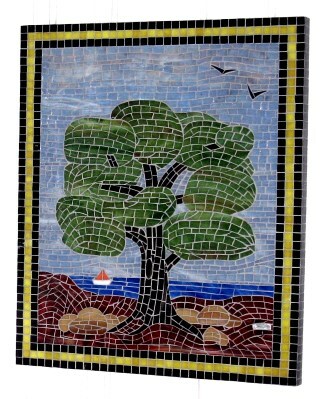 He has also completed many glass mosaic panels. He works from a studio in his home and all of his artworks are original designs. 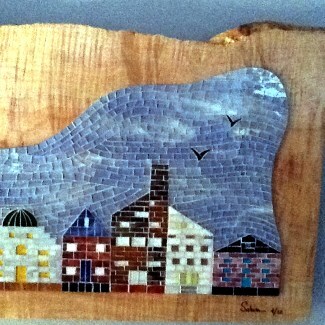 His art is displayed in both private and public places in at least four states. 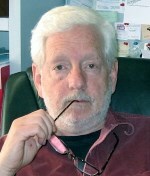 Gary says that any comments or questions (even criticisms) are welcomed and appreciated, so send him an email. Your feedback will help make his next piece better!